College students who were bullied as kids at higher risk for post-traumatic stress. The emotional scars don’t go away. The damaging effects of childhood bullying can persist into young adulthood, causing lasting psychological trauma akin to that of childhood physical and sexual abuse. According to a new study of undergraduate students, those who were bullied as children were significantly more likely to have mental health troubles than their unbullied peers. The study, published online this month in Social Psychology of Education, asked 482 college students to report their experiences with bullying, community violence, neglect, robbery, sexual assault, and abuse through the age of 17. They also noted their current state of mental health and any symptoms of depression, anxiety, or post-traumatic stress. After controlling for other traumatic childhood experiences, researchers found that bullying victimization was a significant predictor of current mental health problems for the young adults. 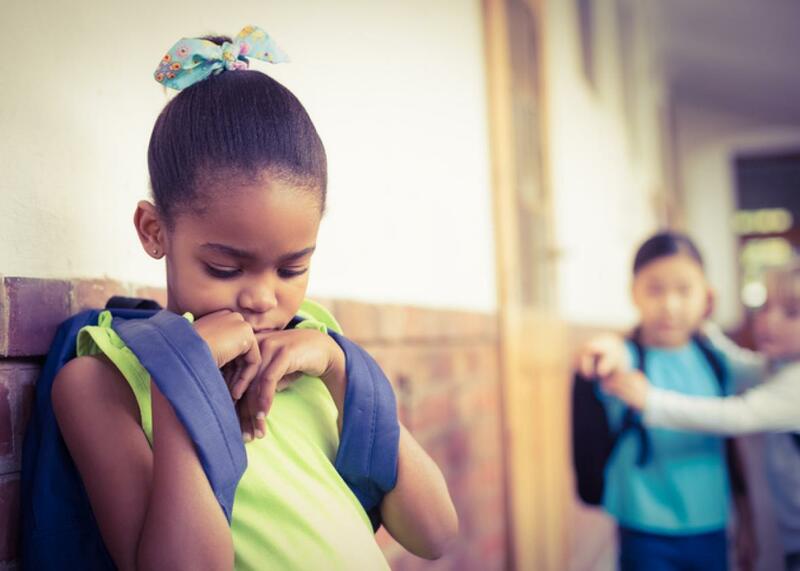 Being bullied was an even stronger predictor of post-traumatic stress symptoms among these students than childhood exposure to community violence or being abused by adults. “The prevalence of psychological distress in children who have been bullied is well-documented, and this research suggests that college students’ psychological distress may be connected in part to their perceptions of past childhood bullying victimization experiences,” said educational psychologist Dorothy Espelage, who conducted the survey at the University of Illinois at Urbana-Champaign. Most research on the mental-health effects of bullying has centered on children and high-school students; this new study reveals that the damage done to and by young children doesn’t easily fade with time as so many childhood memories do. Bullying is not a phenomenon confined to the years in the schoolyard: Previous studies have shown that people who are bullied in grade school are more likely to be victimized later in life as adults in the workplace, and people who bully others as children often continue victimizing their peers as adults. Espelage and the other authors of the University of Illinois study recommend that colleges train on-campus counselors on the persistent effects of childhood bullying and expand programs that currently address sexual assault to include other types of trauma. This could be a particularly important intervention for female students: The young women who reported in the survey that they’d been bullied also reported more severe lingering psychological and emotional consequences than their male counterparts. Some psychologists have contested the idea that bullying, a non-physical type of sustained personal attack, could cause the same kind of post-traumatic stress disorder experienced by survivors of physical violence or threats. It’s also hard to prove causality around PTSD, since other factors like pre-existing depression or anxiety can make a person more susceptible to developing the disorder. But this study makes a strong argument for an expanded understanding of the mental health struggles of college students and other young adults who may be living with the emotional scars of harm inflicted long ago.